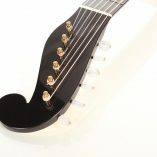 Simon Burgun studied lutherie in Belgium at the Center voor Muziekinstrumentenbouw with Walter Verreydt and Karel Dedain. 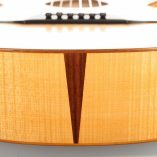 He was encouraged by being awarded the school’s price De Gouden Bootschaaf for the quality of his work. 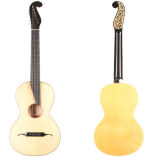 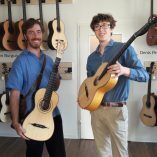 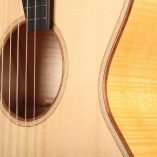 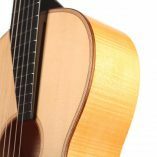 Simon is specialized in the methods, materials and instruments of the 19th century, including romantic and early classical guitars. 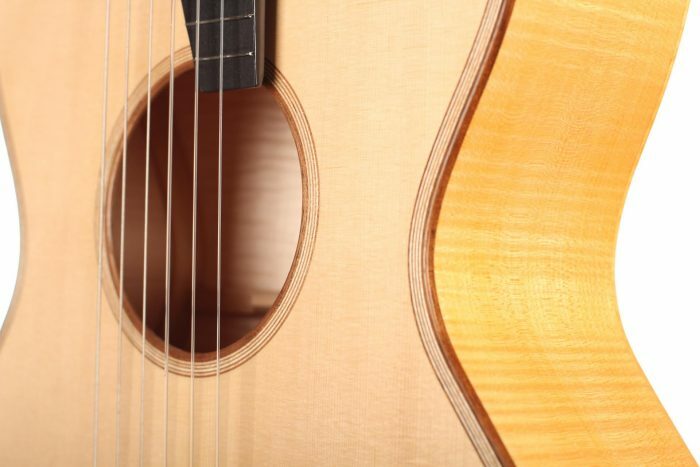 He shares his time between repairs, restorations and new instruments and builds four guitars a year. 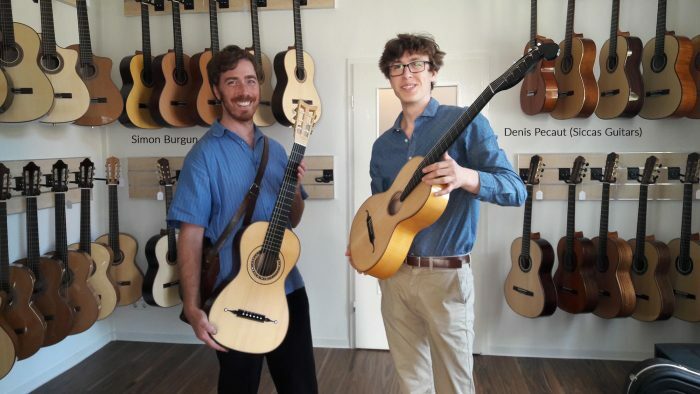 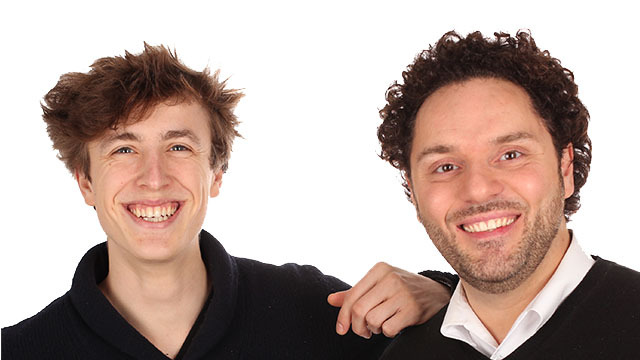 His workshop is located in Strasbourg, at the French German border, 80 km from Karlsruhe. 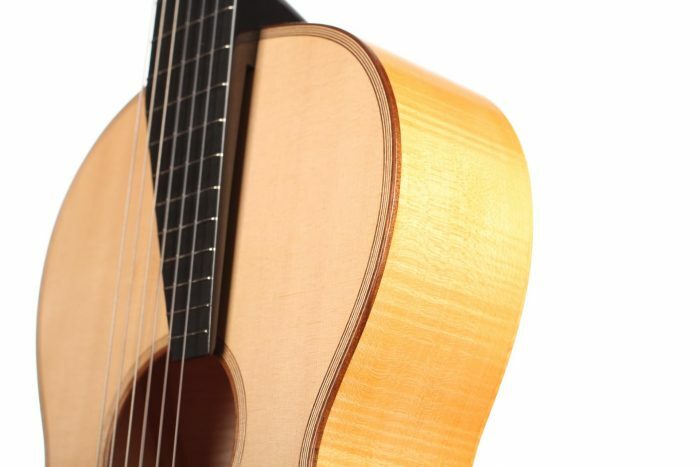 This guitar was built after the Legnani model of the early 19th century Viennese master Johann Georg Stauffer. 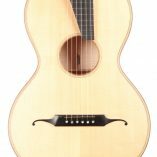 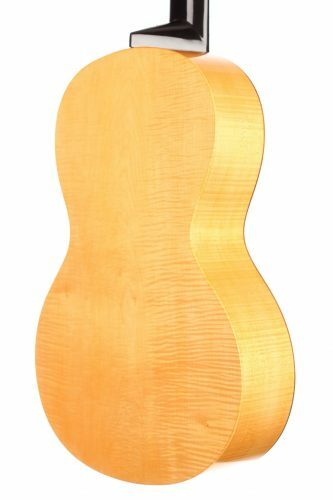 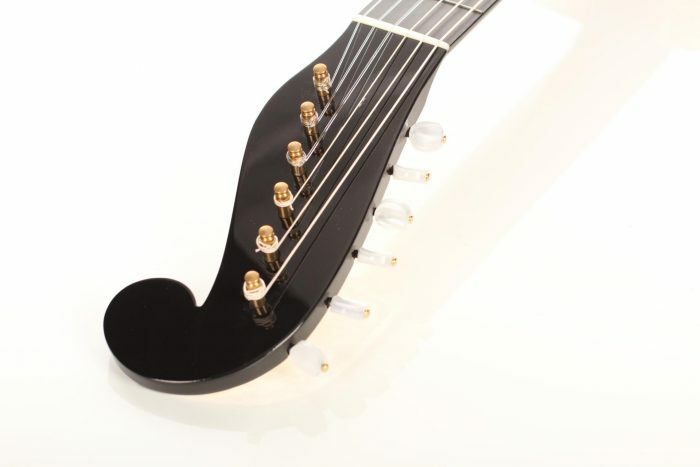 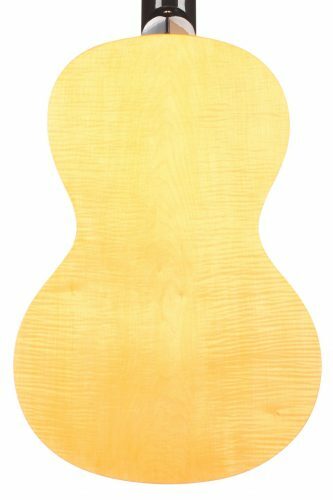 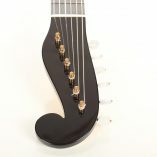 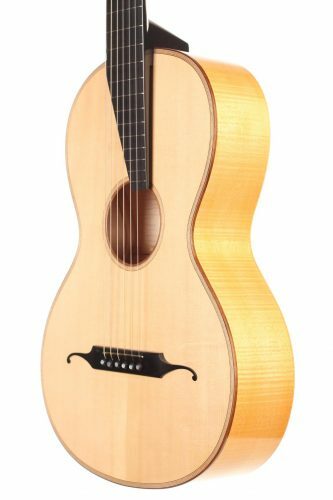 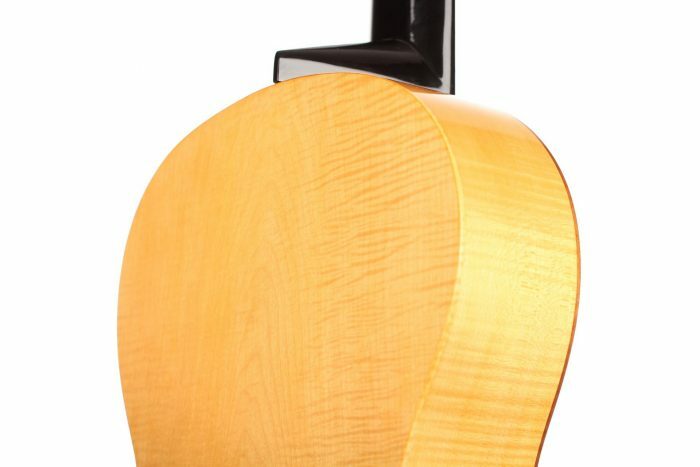 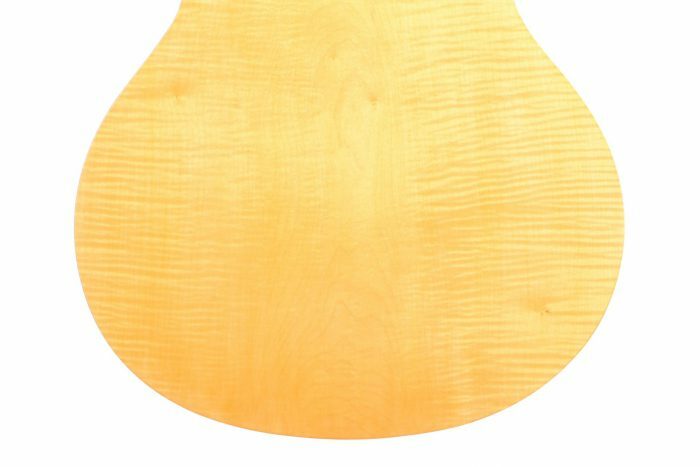 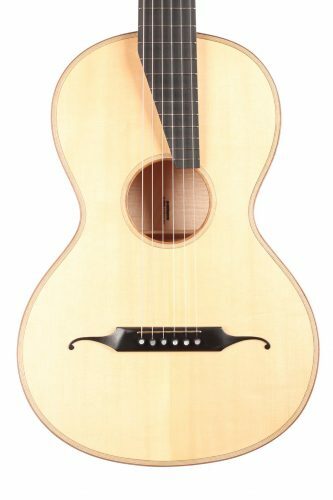 It displays all the typical features of this then innovative guitar: a one-piece flamed maple back with oil varnish, a waxed Swiss spruce soundboard, a narrow, black lacquered adjustable neck with bar frets and hidden machine heads, provided on this instrument by Rubner. 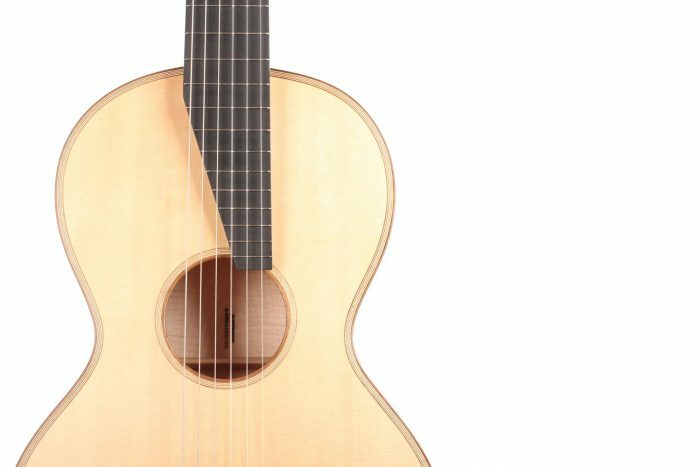 This guitar’s sound is faithful to the very typical Viennese instrument’s sound of this time. 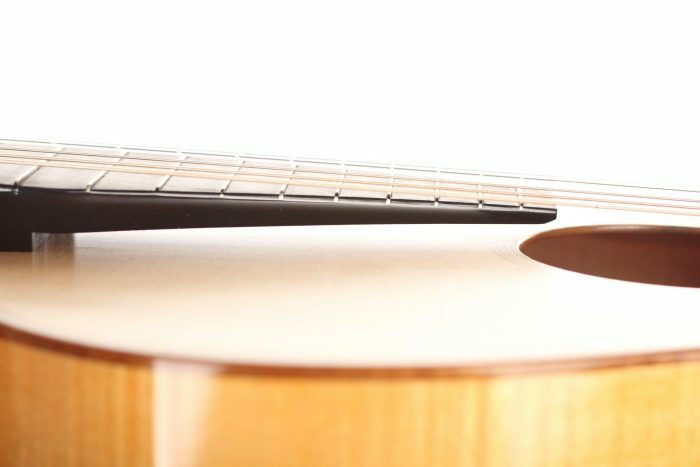 Crystal clear mids and treble along with direct basses give to the guitar a very traditional and playful personality. 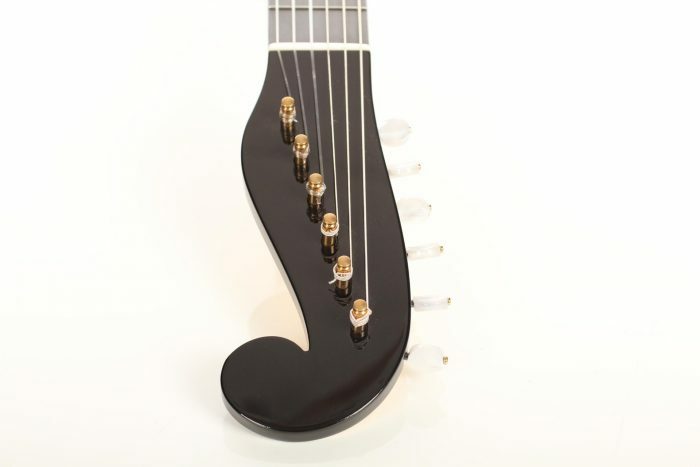 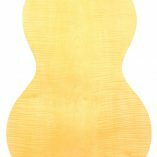 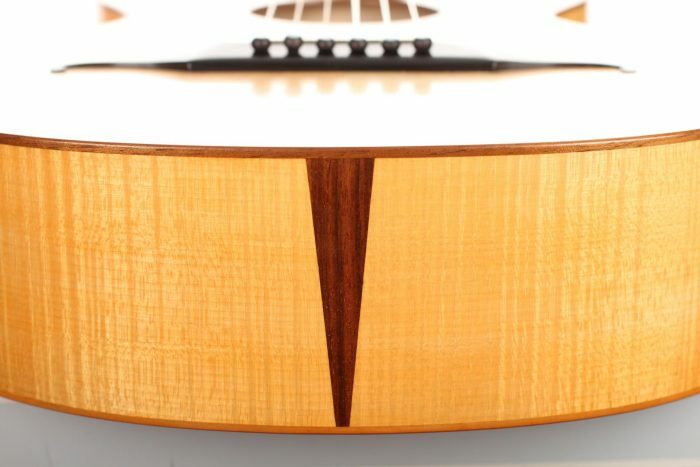 When played, it is very communicative to the body as the thinly worked wood vibrates broadly. 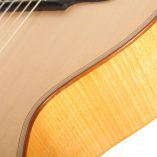 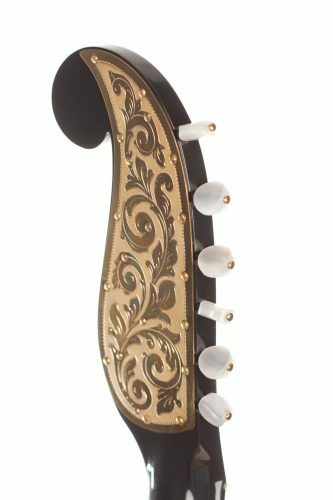 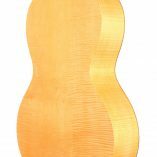 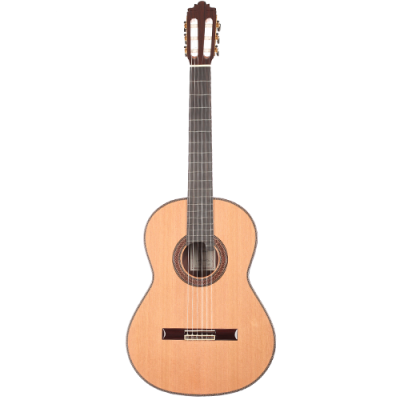 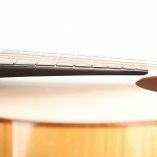 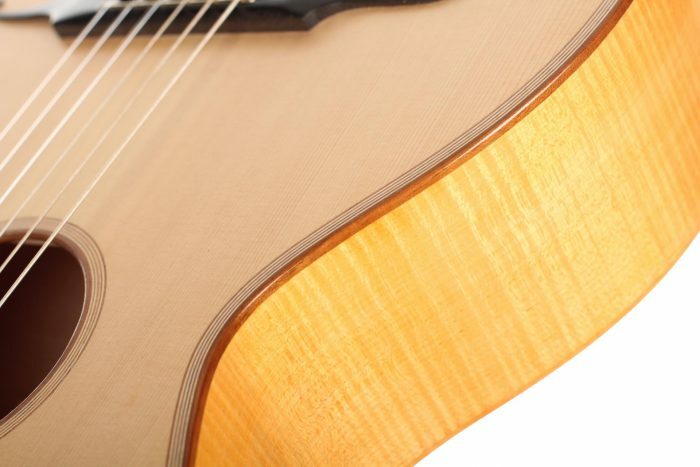 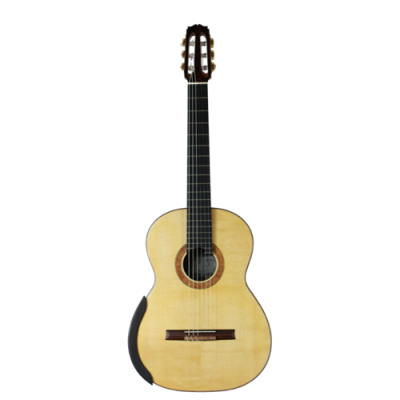 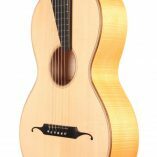 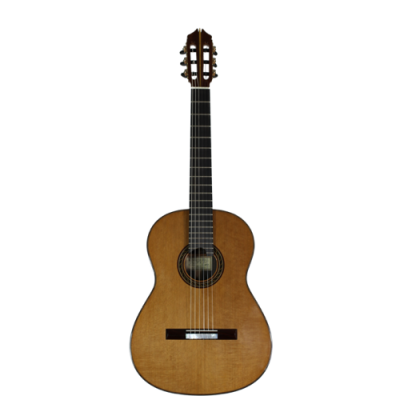 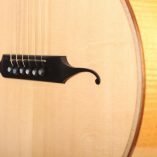 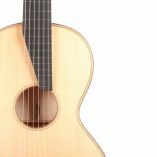 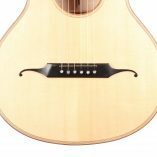 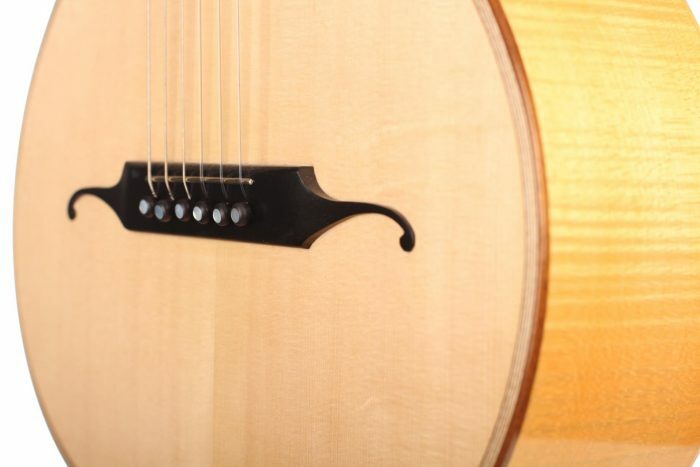 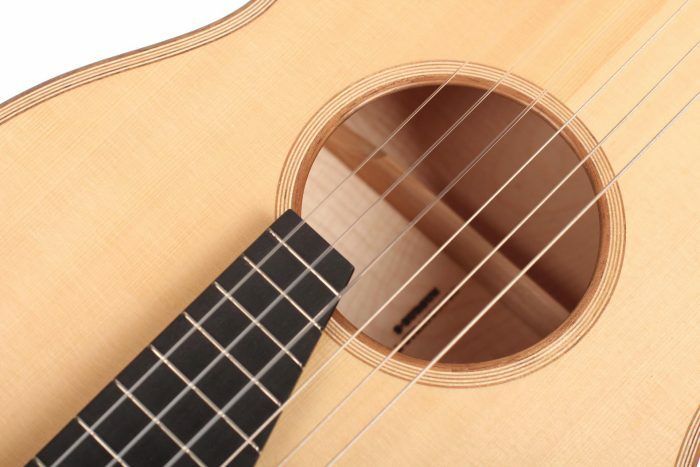 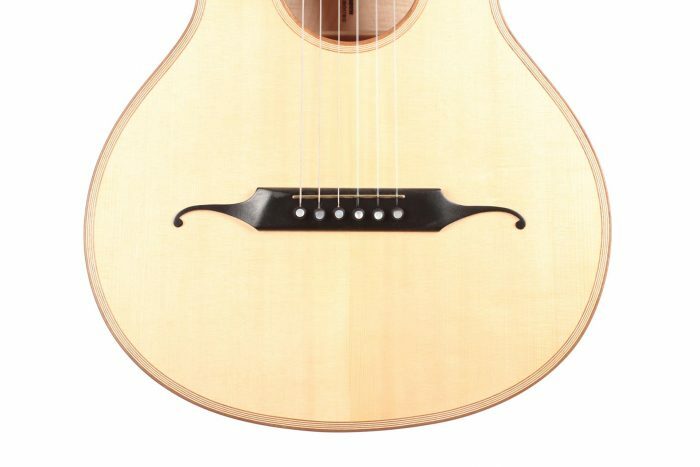 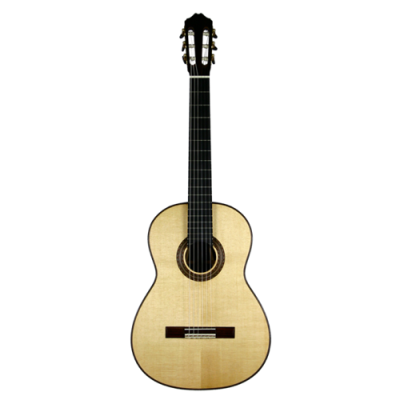 The comfort of playing of this guitar is great: the elevated fingerboard allows an easy access to the treble, and a sophisticated mechanism in the neck enable the change of the action of the strings in a few seconds. 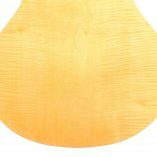 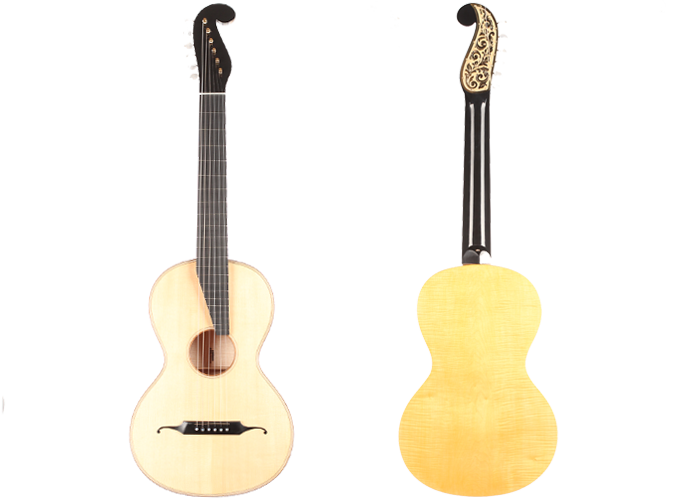 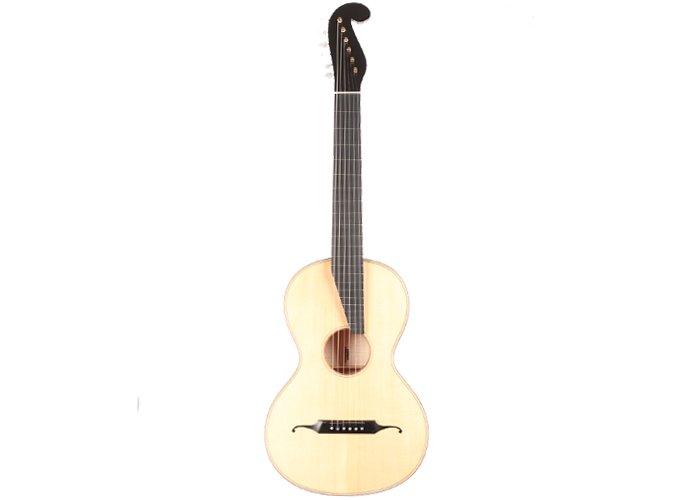 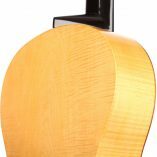 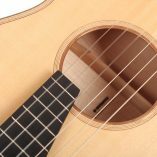 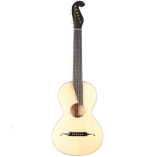 This guitar is a great instrument for those who want a salon guitar with a great sound identity and perfect playability. 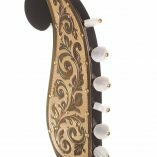 Like most of the Austrian instruments of that time, the instrument contains no woods from the Dalbergia genus, and is Cites free.